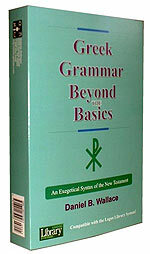 The best, most up-to-date, and most popular Greek Grammar available. The principles of grammar are thoroughly explained and easy to understand. Learn and explore the rich language of the New Testament with master scholar Dr. Gleason Archer, Professor Emeritus of Trinity Evangelical School. Logos/Libronix copmatible Greek grammar primer. 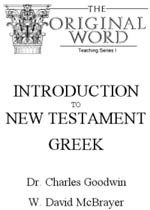 The Original Word Teaching Series I: Introduction to New Testament Greek by Dr. Charles D. Goodwin and W. David McBrayer is one of the quickest and easiest ways to learn New Testament Greek. 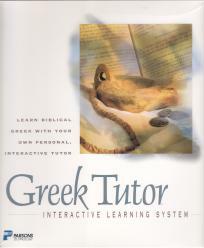 It will enrich and empower pastors, teachers and lay Christians to read and understand the wonderful, descriptive Greek language and its subtle riches. Parsons Greek Tutor takes you from the alphabet to reading and translating the epistles of John via 14 units covering adjectives, alphabet, nouns, verbs and grammar.